Our developer has worked with Mayhem for nearly a decade. We approached this website around a “Tough Mudder” style theme. We also organised the photography and 360° panoramic view on the main page of the website. 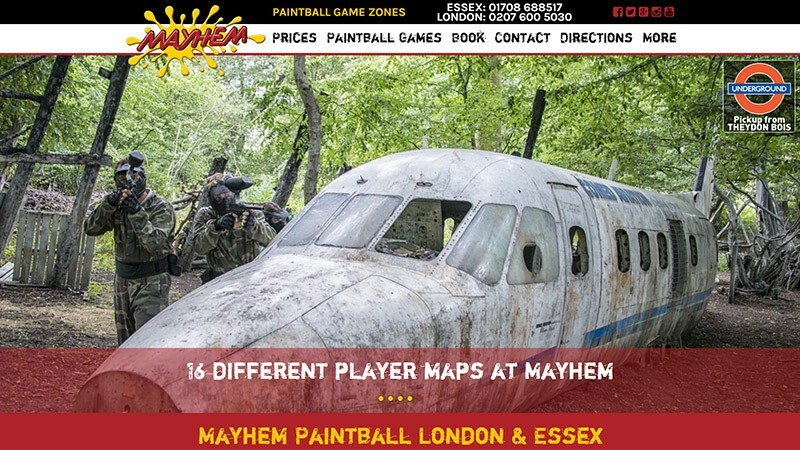 As a result of the success of Mayhem Paintball's website, we also created their sister company Laser Mayhem's site. Ronny, the owner, was so happy with the site he gave the EQ team a free paintballing day.